Edmond Public School district administrators and school board members are constantly evaluating district facilities to plan for current and futures needs. The February 2017 bond election was carefully constructed to meet the needs of our growing district and allow for every school in the district to benefit either by receiving new educational materials, building upgrades and additions, or safety and technology improvements. Why was a Bond Issue Necessary? Edmond Public Schools continues to grow by approximately 500 students each year. We must continue to add new facilities as well as maintain the existing ones to meet the demands of this rapid growth. What are the major projects of the 2017 Bond Proposal? A significant portion of the bond money is being used to complete the process of having storm shelters on every campus. 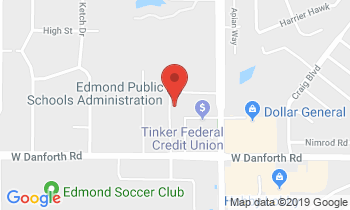 Edmond’s unique approach includes building the spaces schools need (classrooms, gymnasiums, media centers or band rooms) and constructing those spaces to serve a dual purpose as a shelter. This approach allows for maximum use of newly constructed spaces. Other significant projects in the 2017 bond issue include construction of new classrooms and upgrades to existing classrooms as well as stadium upgrades at Memorial and North high schools. Are all schools benefitting from passage of the 2017 bond issue? Yes. Under the plan, every school in the district would benefit either by receiving new educational materials, building upgrades and additions, or safety and technology improvements. Will passage of the 2017 bond issue increase taxes? Due to projected growth in the district’s property valuation and the retirement of outstanding bonds, it is anticipated that passage of this bond issue will maintain a stable tax rate for Edmond Schools. Can money from the bond election be used to improve teacher salaries? No. State law prohibits school district from using bond funds for salaries. Bond funds can only be used to fund capital improvement projects.